Why then do collisions occur? After all, whales are known to be acoustically highly sensitive, and large ships are known to produce a lot of noise. 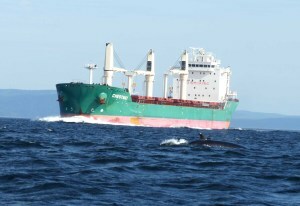 Nevertheless, the animals often do not realize the danger of an approaching vessel. One of the reasons can be found in the behaviour of the animals. Whales sometimes rest at the surface or might be distracted by activities like hunting, play or mating. Also, different species react in different waysto boats and ships. There are both “shy” and “friendly” species. Even within a species, the responsive behaviour can vary widely. Some individuals commonly are more inquisitive than others – especially juveniles, which at the same time are less experienced with anthropogenic threats. Moreover, the ever increasing noise in the oceans can influence the animals’ ability to detect vessel sounds. Sound acts differently in water than in air. 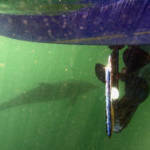 It moves 5 times faster in water, but also will be physically absorbed, bent and dispersed. A moving ship has its main sound source, the propeller, at its rear end. Hence the sound projected to the front will be shielded by the hull itself. In case of a stratified water body, which is a well known phenomenon in the sea, a downward sound shadow can exist just in front of a vessel which not only makes the perception of an approaching vessel difficult, but literally impossible. Moreover, in very long ships the distance between the bow and the propeller (which can be up to several hundred meters) can lead to a misjudgement of the threat. In this way, pure physics make things more complex than generally thought. Some things are certain though. 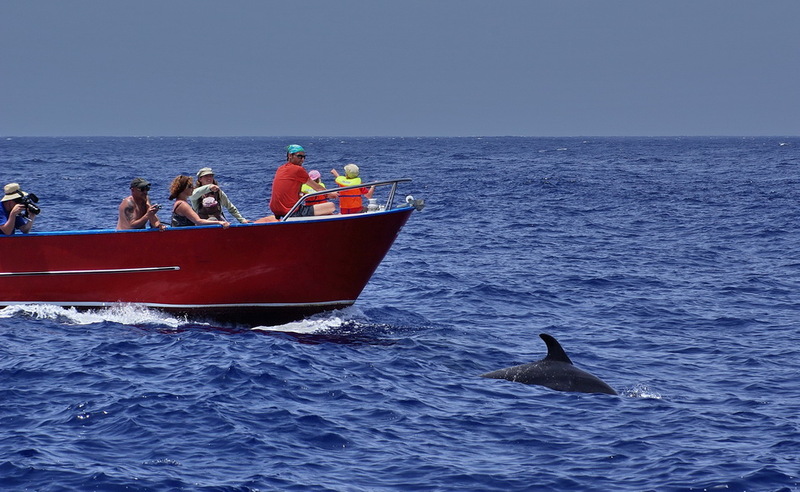 The severity of an injury and the probability of a cetacean being killed are linked to two factors: size and speed of the vessel. American scientists found that most lethal encounters involved ships of 80 m length or more. And 89% of cases with deadly outcome were made at speeds of 14 knots (ca. 26 km/h) or more. Also, the vigilance of a vessel’s crew can be important. Avoiding a whale will only be possible when the risk of a collision is recognized early enough to react. 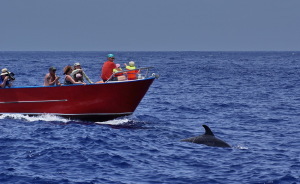 However, in fast moving vessels, a whale that is detected 500 off the bow may only leave a reaction time of a few seconds to initiate an avoidance maneuver. What is done on international levels to respond to the problem? First of all, it is crucial to know the magnitude of the issue. How many collisions do occur? Where do they occur? How can a worldwide registration of all cases be achieved? 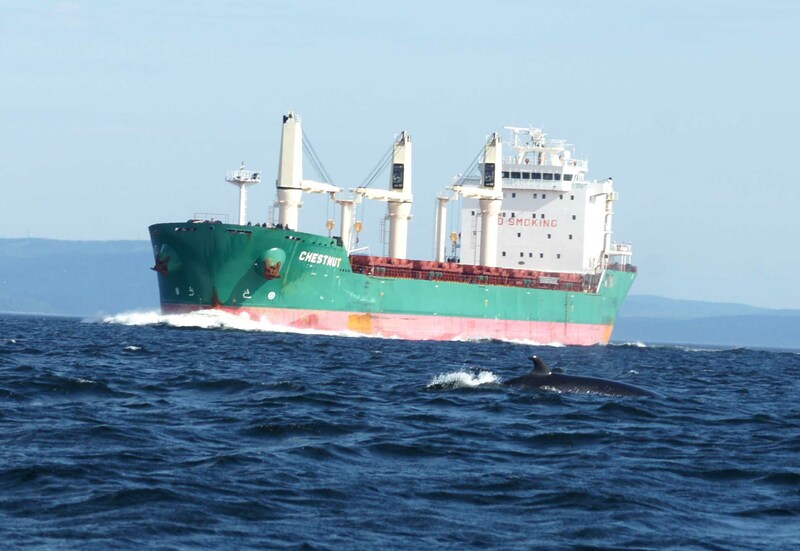 To tackle these questions, the International Whaling Commission (IWC) has set up a specialized Ship Strike Working Group. This group has developed, inter alia, an international data base for the registration of collision cases (https://iwc.int/ship-strikes). This database went online in 2009. For the first time, anyone involved in a collision can report it directly and without much effort (and anonymously, if preferred). The data base has registered about 1,000 cases until June 2010, and is increasing steadily. Other local data bases were developed in the US and in Australia. Due to the leading role of the IWC, the scientific community has recognized the issue too, and the number of relevant publications is growing. Several international workshops have focused on the subject, the latest being an expert meeting held by the IWC and ACCOBAMS (Agreement on the Conservation of Cetaceans of the Black and Mediterranean Sea) in Beaulieu-sur-Mer (France) in September 2010. Scientific efforts deal for example with the data collection from strandings, but also how collision risk in certain areas can be modeled. Furthermore, international organizations and agreements have intensified their collaboration, e.g. ACCOBAMS, the Convention of Migratory Species (CMS) and the Environmental Committee of the International Maritime Organisation (IMO).